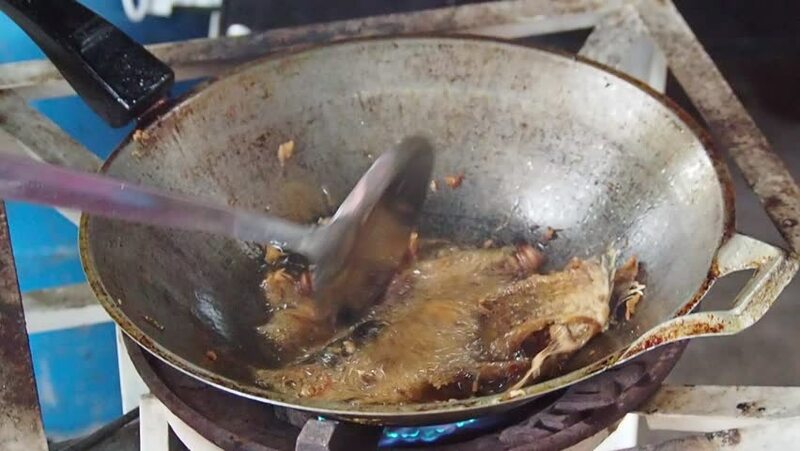 Local Thais was cooking deep fried a dry fish in the iron pan. hd00:17Kettle with cooking meat over burning campfire. hd00:27Zhu Jiao Quan (fried taro cakes) Vegetarian food. hd00:05Put Hot pan over charcoal stove in Thai BBQ buffet restaurant. Preparation for cooking food. 4k00:09Man Puts the Pickled Meat on a Skewer for a Shish Kebab on Nature. Preparation of a barbecue. Fat Man's hand stringing pieces of meat on a skewer in summer day. Meat marinated in a bowl on the table.